Greg Corey earned his retail stripes with 10 years at Home Depot – and for the last 15 years has been running marketing agency Porchlight. 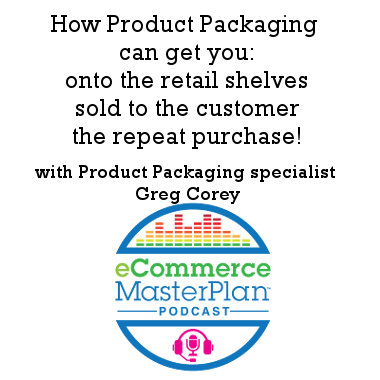 Porchlight full service – so Greg gets the whole marketing mix, but today we’re going to be focusing on point of sale – how you get customers to take your product off the physical shelf (in your stores, and others), plus the power of product packaging! A subject that does not get enough air time. After college, Greg jumped right into working for Home Depot in their marketing and advertising department in Tampa, Florida. After several years, Home Depot moved him to Atlanta, Georgia to continue his work there. During his time with the company, he was exposed to many sides of the marketing and advertising business. When he decided to move on from Home Depot after about ten years, he began working for Newell Rubbermaid. Since Newell was a vendor of Home Depot, Greg was able to see the merchandising and retailer side of things while still working for Home Depot. Moving to Newell allowed him to see the manufacturing side of the same products. When Newell wanted to move locations but Greg wanted to stay in the Atlanta area, he left his job and began doing freelance jobs. He was so successful that he became too busy and had to call in friends and others to help. Fifteen years later, Porchlight is still here and serving the packaging and retail community. Listen to learn how seeing all three sides from retail to manufacturer to marketing agency has helped Greg to better serve his clients and understand the hurdle of selling to the retailer before you can sell to the consumer. 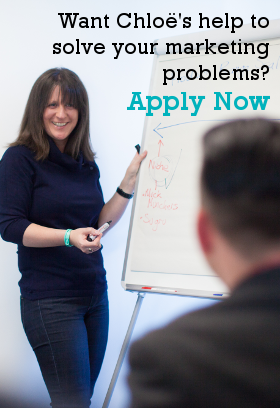 There are several boxes to tick when pitching your product to a retailer. Sometimes those boxes will line up with consumer needs, but not always. Sometimes the retailer needs an entry-level-priced item, but sometimes it’s the opposite and they need the best of the best. Trying to sell to a retailer is very similar to the retailer trying to sell to the consumer in that the manufacturer must know where the product fits within the needs of the retailer, just as the retailer must know where the product fits within the needs of the consumer, and whether it’s an emotional purchase or utilitarian need. Retailers have a hole, sometimes literally, on their shelf, and they need a product that will fit that hole, as well as the price point and packaging holes. If you’re a national brand pitching to a retailer, you may already have the clout, presence, and track record to help you out. For small independent brands, there are two ways to approach it, both with pros and cons. The first way is to button everything up, including the branding, packaging, mock-ups, how many items will fit in a case, and take the entire finished package to the retailer. They show the retailer what they have and how much it costs and ask them if they want to buy it. The second approach is to go into the pitch with a lot of what-ifs. You can show the product and then show different ways of packaging it that may fit with the retailer’s needs. This strategy is offering more of a partnership and offering the retailer some ownership of how the product looks. You must understand who is buying your product and why they are buying it. There are different strategies for this, ranging from hiring a research agency to do a cross-country analysis to just standing around the aisle of a store to see what people are leaning towards. Either way, understanding your target audience is key. Listen to learn why although it’s sometimes taboo for creatives like Greg to like research, research can make things much easier for him. Packaging for repeat customers also takes some research. When your customer takes your product home, what do they do with their packaging? Do they open the bag of coffee they just bought from you, pour it into a different container, and discard the primary packaging? Or should you be making the primary packaging to also be used as a dispensing unit? You must consider how it looks, feels, and interacts with the consumer inside their home. 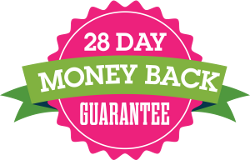 Listen to learn how website or social media messaging on packages can almost replace 1-800 customer service lines. Smart packaging is coming to the forefront. Consumers can take pictures of their packages with their phone, and the picture can bounce them to wherever the brand owner wants them to go. If a large item has a barcode on the bottom and it’s difficult to turn it over for scanning and leaving the store, there’s technology that allows a cashier to scan the entire package without the barcode. Consumers can even track their packages via smart packaging and know its entire chain of custody. Items that are subject to counterfeiting, such as wines and olive oils, can gain quality assurance from smart packaging as well with things such as RFID chips and embedded codes. 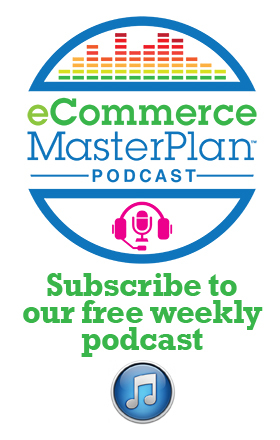 Listen to learn how Amazon is helping pave the way for packaging with less material. Listen to learn about Facebook’s Lookalike Audiences and how Porchlight uses it. You have to dive into the statistics. You have to understand where your existing consumers are coming from. Are they coming from articles, reviews, organic searches, or paid searches? Know where they are coming from, and then capitalize on that and figure out how to expand on it.